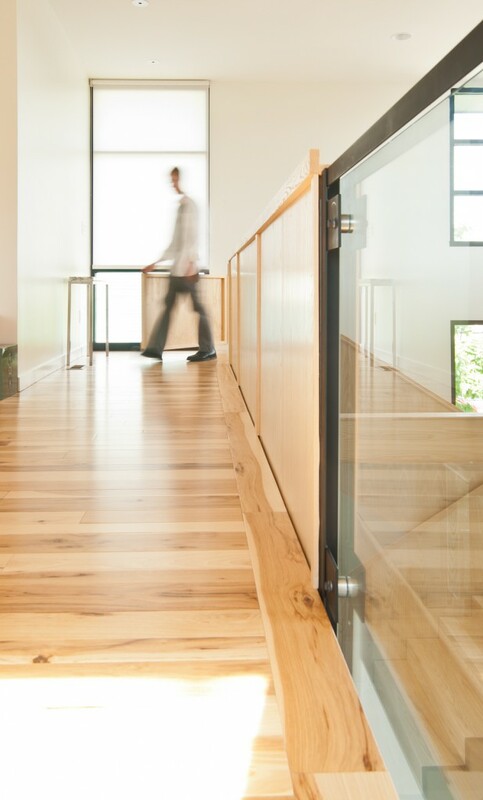 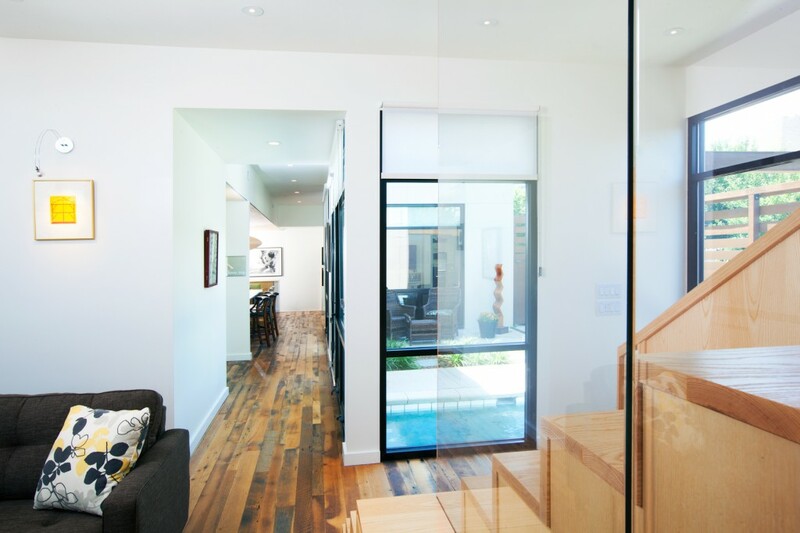 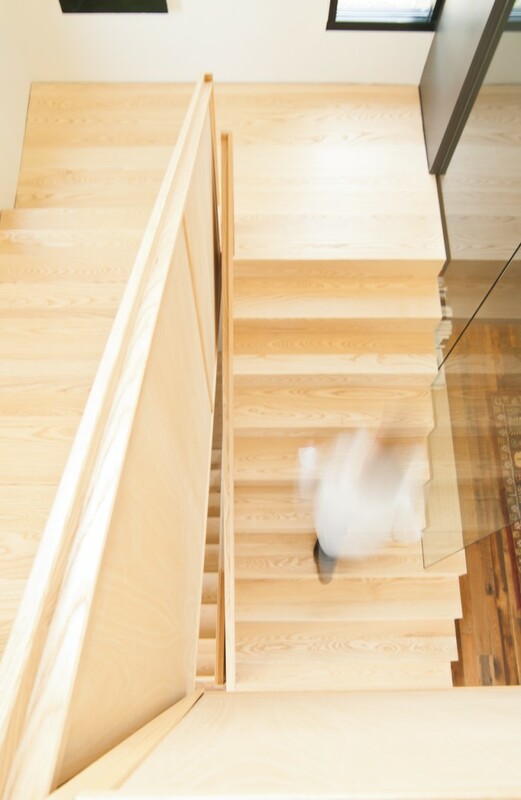 The owners of this new home were looking for a stair that was consistent with the modern style throughout the project. 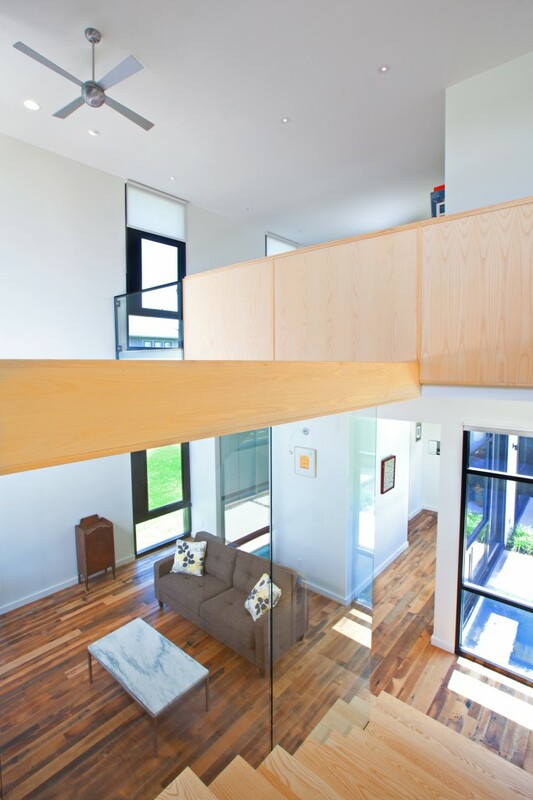 Our design features glass panels and 2″ thick solid Ash treads and risers to provide a focal point the two-story living room. 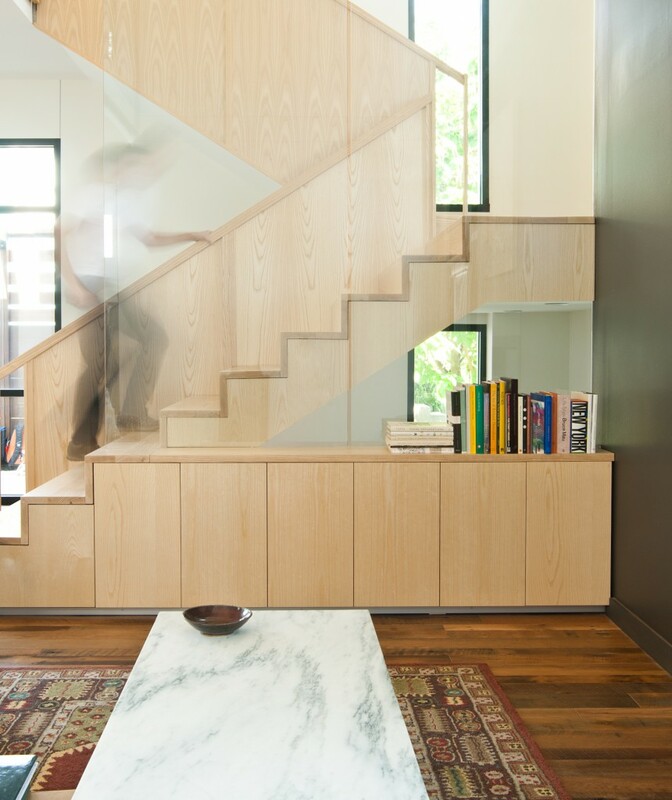 Alongside the stair, we were able to integrate storage cabinets that blend seamlessly with the stair and a second story rail. 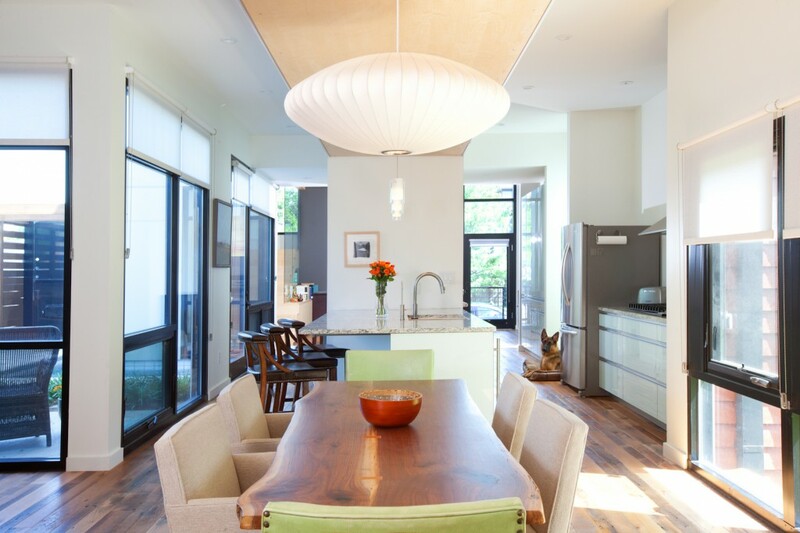 We also provided custom cabinetry for the kitchen, bath, closets and laundry throughout the home.